Have you got all your Christmas presents sorted? Fear not, I have the solution and it won't be a one-off gift. this is something that will last all year, ensuring a happy (and better dressed) fellow. Bachelor's Box is a Dublin-based accessory subscription service, sending specially curated boxes of accessories to the time-challenged but sartorially savvy. Each month has a different theme or colour palette, ensuring there is variety and personality every time. We all need a little revamp of our wardrobe every so often, so the addition of new ties and accessories will help lift our usual attire. The team kindly sent me their First Edition box , packed to the gills with a fantastic selection including 2 ties, a lapel pin and pocket square. Designed as an introduction to both the service and to accessories, the box contents are designed to work around classic grey, black or navy suiting, something most men have in their wardrobes. Annie got it wrong. You're never fully dressed without a pocket square & lapel pin. If you're heading to the bar after work, pop these into your suit jacket to change it from office to official! Check out the full range of boxes available here; start a subscription or build your own box, choosing the contents for yourself. Start someone off in the best dressed direction for 2016! While we've all been told of the to-dos when it comes to summer skin care, winter can be just as harsh on your skin. Cold, gusty winds outside and dry heat indoors will play havoc with your skin, leading to dehydration, flakiness and greasy patches. To help prevent this, a good exfoliation is important to remove any dead or damaged skin. This is where the Konjac Sponge Co comes in. I was a little dubious at first because of the shaving sponge description, but of course those of us who have a hairless face will have more skin exposed to the elements and can benefit from additional cleansing to help the shaving process. Use the sponge in lieu of a badger brush to achieve a shaving lather, softening the bristles and exfoliating the skin in one go! I gave the sponge a test drive last night in my usual weekly Sunday Spa session (beard maintenance, bit of a facial, eyebrow topiary etc) and was really pleased with the results. Normally I will have used a scrub and then toner twice to completely remove any greasy build up from my T-Zone. However, I skipped any lotions and potions and just used the sponge in warm water. Immersing the dry sponge under a warm running tap, it turns into a sea-urchin-like mass, going from abrasive to smooth in seconds. Using small circular motions, I targeted problem areas in my T-Zone, around my nostrils and along my brow line. What I loved best was that my face was almost immediately free of moisture and grease, no need to rinse off. My skin felt soft and there were no visible patches of oil or dryness. Even this morning, my face felt clean and I just splashed it with water and put some light moisturiser on for the day. For only £8.99, I cannot recommend the Gentleman's Sponge enough, pop one on your wishlist or in your man's stocking. Until 21st December, use my exclusive code ROGUEXMAS for 10% off! Thanks to the kind team at Konjac Sponge Co for sending over a fantastic Christmas hamper including the Gentleman's Sponge. With 2 weeks until Christmas, the streets are awash with novelty Christmas jumpers. Lights, music, pompoms and patterns as far as the eye can see. What was fun a couple of years ago for the sheer embarrassment has now become a cliche. It's almost expected and when everyone is wearing the same thing, the effect is lost. And I feel truly sorry for the fellows who are given a novelty jumper on Christmas day. Congratulations, you've been given a present you can use for the next 12 hours. All this leads me to calling a Christmas jumper armistice. Banish those gaudy nightmares and opt for a more stylish version. Take the core colours and themes of Christmas and use this as your inspiration. Look for deep, rich colours of red and green. If you want a pattern, choose Fair Isle or Nordic inspired knits. Go for chunky, shawl neck collars in cardigans or pullovers for that apres-ski winter appeal. I've found my Christmas day jumper in this understated Farah jumper in a rich bordeaux shade (similar here). 2015 was the year of opulent wine tones and it seems fit to round out the year in something suitably seasonal. The simple crew collar keeps it that little more casual and the fine knit makes it perfect for layering under a coat. It will work wonderfully under a blazer if you are heading out for drinks or just pair it with chinos for a cosy night in. Thanks to Woodhouse for sending me this jumper and for continuing to battle the festive blight of bad knitwear. Check out their full range of designer knitwear here and have yourself a stylish little Christmas. The weather has officially turned for the worst with flooding, gales and general miserableness abound. With this in mind, I have been on the look out for some new boots to get me through the season. This is the year of the Chelsea boot; their practical mix of formal and casual makes them a great addition to any man's wardrobe. They'll look great paired with cuffed jeans or slim chino or wool trousers, depending on the occasion. I have written before about my love of Dr Martens and was kindly invited to the opening of the flagship Belfast store last year. I knew they would have the solution to my Chelsea boot conundrum as I wanted something more rugged than the slim. Beatle-boot style. Step forth the Victor boot. I knew I didn't want something in black. While black is the classic Dr Marten colour, I always find it too harsh. I wanted something in either tan or conker brown, a bit more tonal for autumn and winter. Plus it will work with the majority of the trousers and pants I currently have. I couldn't resist taking a few more snaps of the amazing styles currently available too - if only I was a little braver and a lot richer! It's hard to beat the classic 1460 8-hole in these traditional colours. The penny loafer would look great sockless, paired with chinos. The perfect winter accessory selection. Docs aren't always leather. These Mayport sneakers and boots have the same airwear soles but are given a relaxed look with canvas uppers. Thanks to the team at Dr Martens for kindly gifting me with my new Victor boots! Mention Pall Mall and images of luxury come to mind (or Monopoly depending on your audience). 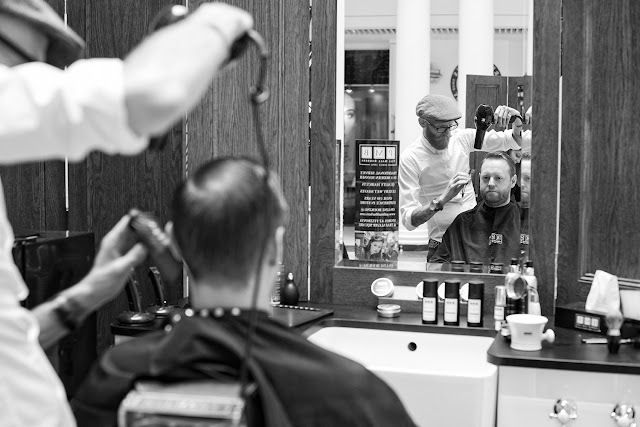 Pall Mall Barbers combine luxury, quality and peerless service. They kindly reached out to me to test their Sandalwood & Clove beard pack and with #Movember almost over, I'm sure there are plenty of guys out there who need help in taming and treating their newborn facial fuzz. With 4 locations in Westminster, Bishopsgate, Trafalgar Square and Fitzrovia, Pall Mall Barbers are situated in prime spots in west London, a testament to the quality of their service and goods. Having been shortlisted for the GQ Grooming Awards 2015, they are at the top of their trade. Busy locations and a thriving product range combine to make a powerhouse in British barbering. Excellent value for money, combining 2 high quality products and saving money on purchasing separately. The beard oil has a handy pump top - one of my beard oil pet peeves is an open bottle. The user-friendly pump delivers drops without any mess. A relatively heavy oil, it penetrates the beard hair easily and keeps it scented and strokeable for several hours after application. Moustache wax is not just for novelty twirls, use it to tame stray hairs in your beard, moustache and even eyebrows. Clove is perhaps one of my least favourite smells. However, it has a traditional and masculine scent and will work well in winter. £37.00 for the pack. Available online and in the barber shops. If you are London-centric, pay a worthwhile visit to any of the barbershops for expert hair care and grooming. If (like me ) you are not based in London, make the most of their online shop for some excellent haircare, shaving and beard care products. 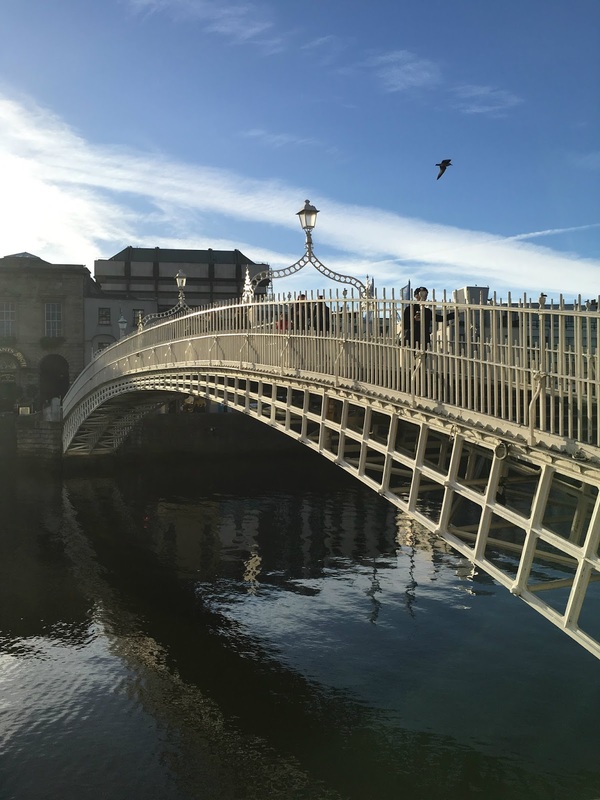 This time last week I was in Dublin for the Cos SS16 press launch. I caught the 06.50 train to Dublin (the glamour of being a fashion blogger) and spent the 2hr journey catching up on my Kindle and planning how I was going to spend my limited time in the Irish capital. I've been a fan of Cos for years but am disheartened that it still hasn't crossed the border to Belfast. The sophisticated big brother of H&M, they are renowned for their subtle and sleek collections, both formal and casual. Held in the modern surroundings of the Kerlin Gallery, tucked in a side street off the main stomping ground of Grafton Street, the gallery allowed the collection to speak for itself and not compete for attention. Although that orange wallpaper is pretty damn awesome! The pared-back palette, draped silhouettes and imaginative use of selected fabrics combine to make a fresh and forward new season offering. The core colours of soft greys and stones create a simple but versatile capsule collection. The occasional pop of muted tones, such as sage green and pale lemon add depth and variance. Inspired by the traditional Mac, this city coat has a cropped length to refresh the familiar shape. Wear this under a blazer for an alternative to the usual polo or shirt. An unstructured lightweight blazer is always a smart investment for the spring/summer season. The continuous line pattern is inspired by Scandinavian graphic design. The slash neck and sombre shades makes these tops relevant without being too derivative of the Yeezy phenomenon. 3/4 length sleeves, mandarin collar and hidden button placket front evokes simple Japanese shapes. It isn't easy being green, so opt for sage. The ethos of the collection is reinterpretation of classics, using traditional fabrics in new ways or familiar silhouettes given alternative construction and materials. Denim is used for summer suiting. An unstructured lapel-less jacket, inspired by traditional gi (martial arts clothing) and pleat-front trousers. The mac silhouette has been given a modern reinterpretation by using sleek, translucent PVC. Fused seams and raw edges make it both practical and eye-catching. Accessories fit the minimal Cos aesthetic, sticking to simple colour palettes and unfussy features. I don't normally wear black but the simple button front closure of this belt caught my eye. The palette was again muted, with blush pinks, nudes and soft bronzes. Perhaps not office-appropriate, but this woven bandage dress is pure editorial gold! This backless, satin dress in a sophisticated bronze is the perfect summer wedding guest dress. I loved this modern geometric jewellery and was even more impressed when I found out the "jewels" were actually compressed denim! Thanks to Cos Ireland and the team at Baluba for the invitation and for looking after me so well. A special shout out to Paris who talked me through the whole collection. This was my first event south of the border and I'm determined it won't be my last!